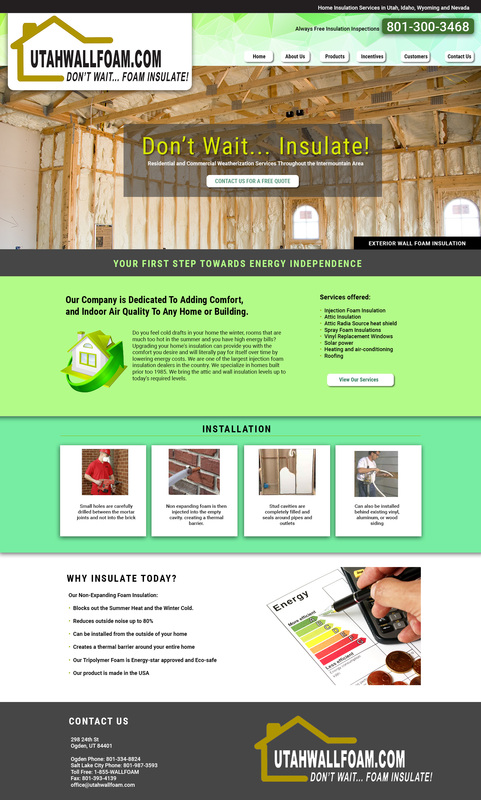 UTAH ENERGY SOLUTIONS IS A DIVISION OF UTAH WALL FOAM, INC. WE ARE ONE OF THE LARGEST INJECTION FOAM INSULATION DEALERS IN THE COUNTRY. WE ARE ALSO THE LEADERS IN BOTH RESIDENTIAL AND COMMERCIAL WEATHERIZATION SERVICES THROUGHOUT THE INTERMOUNTAIN AREA. OUR COMPANY IS DEDICATED TO ADDING COMFORT, AND INDOOR AIR QUALITY TO ANY HOME OR BUILDING. ALL OF OUR PRODUCTS AND SERVICES SAVE ENERGY AND PAY FOR THEMSELVES OVER TIME.